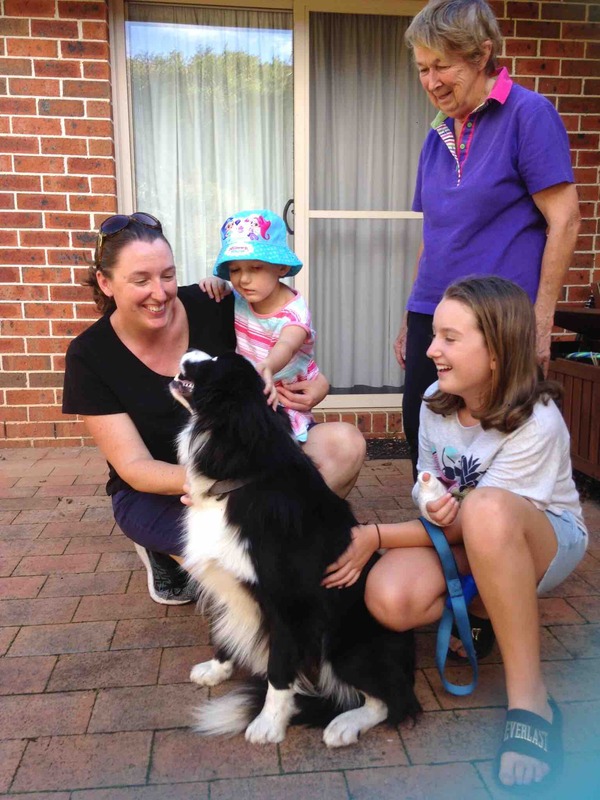 Emily is the youngest member of an amazing family of 5, who all love life and bring joy to those around them. Deb & Jono are wonderful parents who are generous, loving and faithful. They are always first to lend a hand. 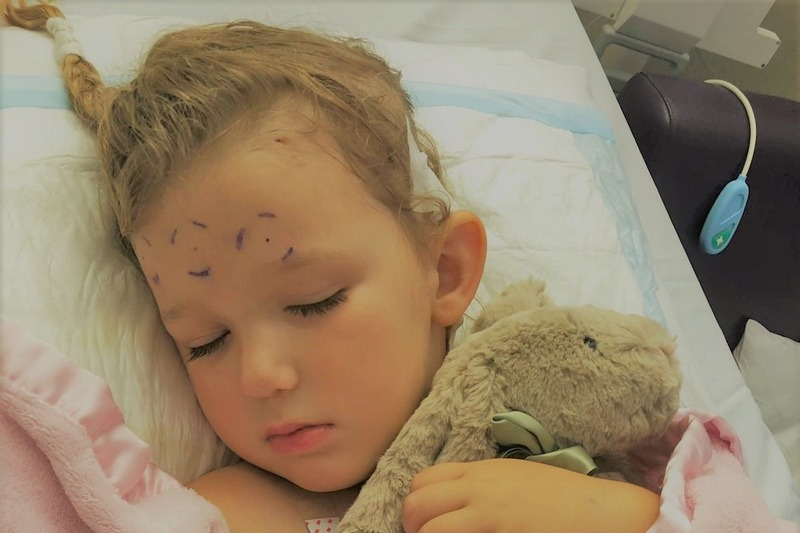 Emily's battle has started....she has already undergone surgery to remove the brain tumour and now will be given intensive chemotherapy treatment weekly, radiotherapy and treatment directly into the brain. Emily’s home for the next year will be hospital. 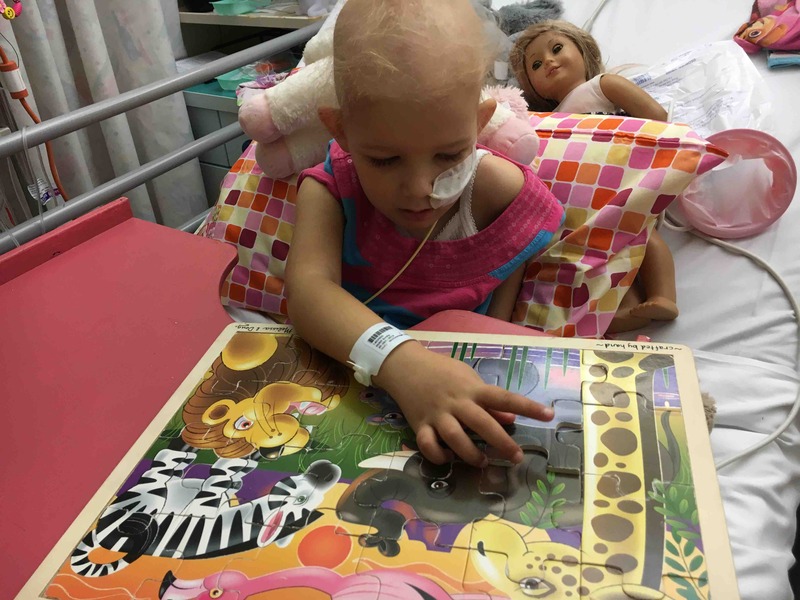 With Emily in Westmead Hospital and home being in the Southern Highlands, there is a great distance between home and hospital. With Emily's needs and maintaining life for Emily's older brother and sister, the pressure on Deb and Jono's time and energy will be immense. Deb & Jono believe in a God of love and miracles, so please pray for Emily. We are all holding firm to God's promises as stated in Psalm 91:16..."With long life I will satisfy her and show her my salvation." Firstly, and foremost, we want people to support this family by joining Emily's Army of Prayer Warriors and ask for God's miracles. Secondly, we know this will be a long road for Emily and her family and we want them to all focus on each other and Emily's treatment, and not be worried about the financial burden that this will undoubtedly create. 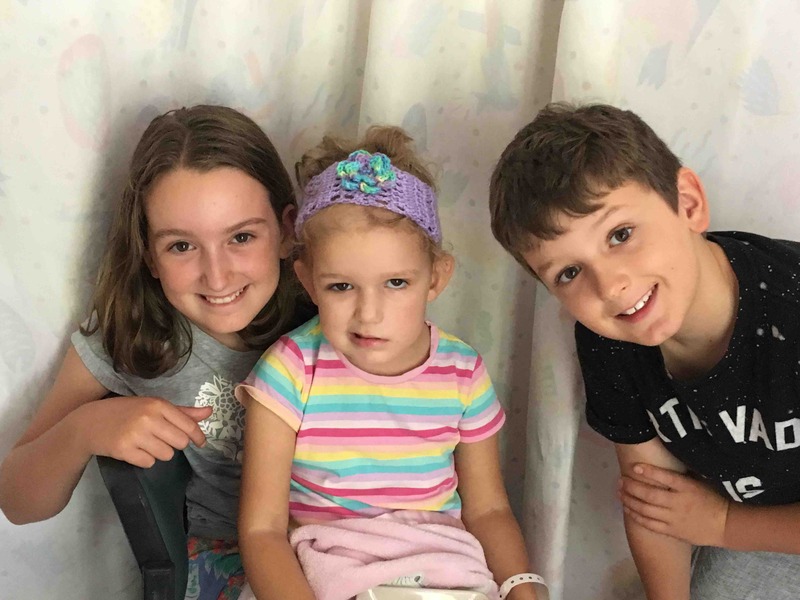 The ongoing medical expenses for Emily and the constant travel costs between home and hospital will have a financial impact on this family. Also, as you know, these types of illnesses come with unexpected costs, both immediate and in the future, so your support through this Go Fund Me page is a tangible way to care for the whole Hunt family. We ask if you can help meet their financial needs in this difficult time, then please donate to the “Emily's Army” fund and also please share with your close friends and family. Emily has done so well with her third round of chemo. Very little nausea. The feeding tube through her nose has (mostly) reduced the battle over taking oral medications. We are most likely going to be released from hospital today to be able to spend some time in Ronald MacDonald House as a family. Continuing to be grateful for so much, especially our army of support. We are currently enjoying some time at home. 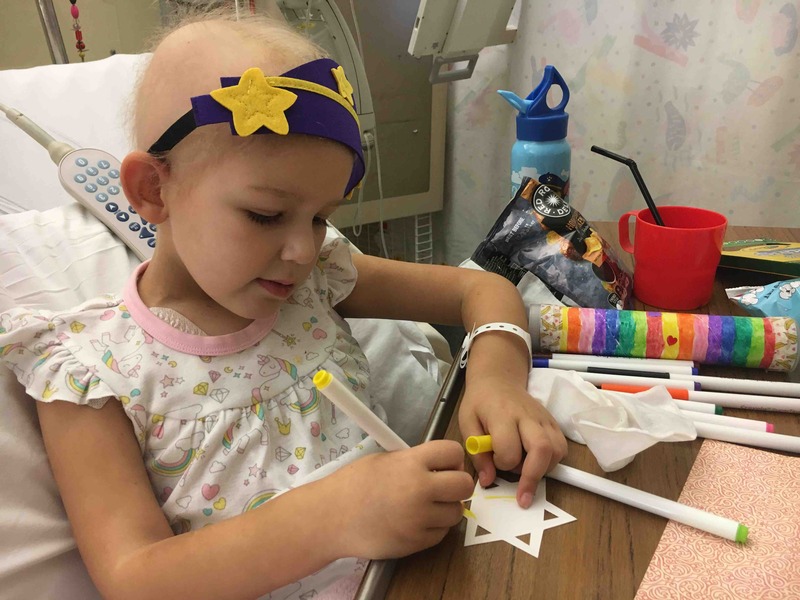 Emily’s levels are too low for her to begin her next scheduled round of chemo. 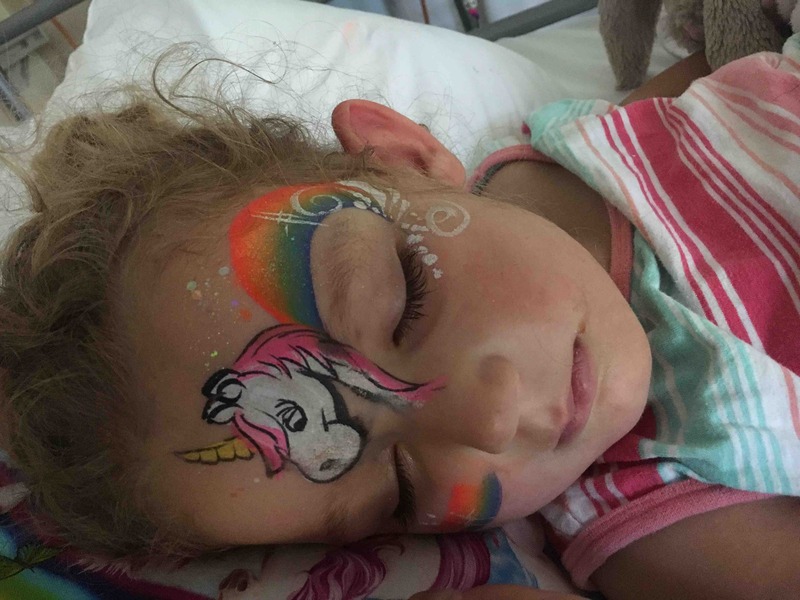 We are so grateful for the amazing support provided at the hospital from music and play therapists to one of Emily’s favourites the Clown Doctors. The Starlight Room has also provided a lot of joy. When Em was too unwell to visit, they brought craft to her alone with her own Captain Starlight costume. Thank you for your love and support for us all on this journey. We, gratefully, enjoyed some time at home and Emily particularly enjoyed her visit from the Neighbour’s dog ‘Shep’. Emily has finished her second round of chemo, but unfortunately spiked a temperature, so we are currently in Bowral Hospital. We’ll need to head back to Westmead at some stage, but are receiving excellent care in our local area. We are so grateful for the amazing support that we continue to receive. 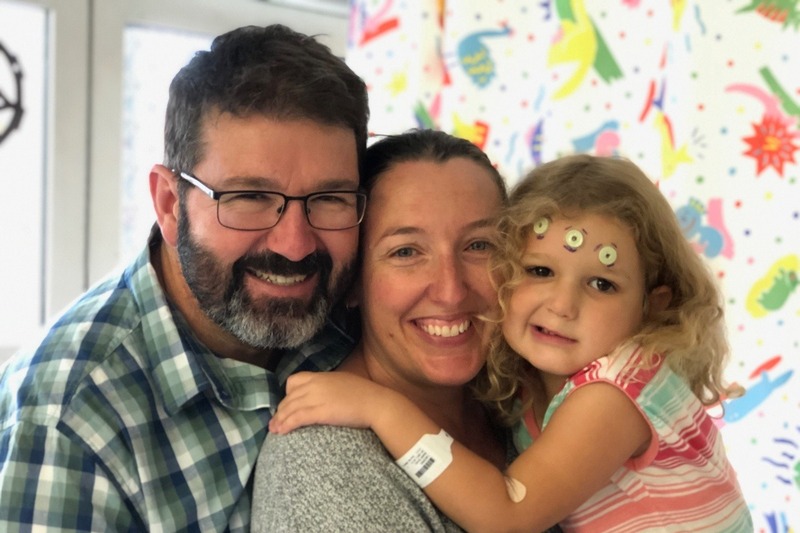 Having almost come to the end of the first cycle of chemotherapy treatment, we’re better understanding how Emily responds and the time required for her body to, somewhat, recover. We have five more cycles and will know more after the third cycle is followed by an MRI. Worshiping and presenting prayers and petitions with thanksgiving to our Faithful and Loving Heavenly Father.